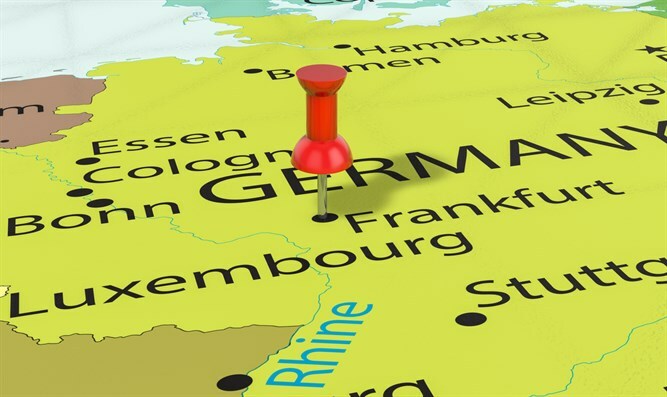 The city of Frankfurt, Germany has begun a campaign aimed at expressing solidarity with the city's Jewish population and opposition to anti-Semitism. 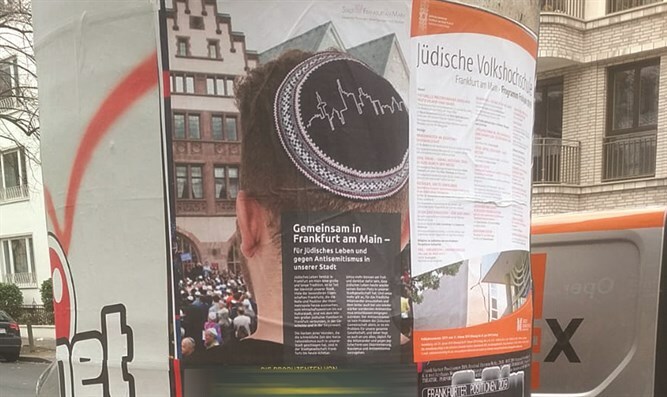 Posters hung around the city feature a large photo of a kippah-covered head with the main title reading: "Together in Frankfurt: For the sake of Jewish life and against anti-Semitism in our city." Jewish life is an ancient tradition in Frankfurt and is an inseparable part of the identity of the entire city. They are a large part of the unique features of Frankfurt and created the special role and status of the metropolis of Frankfurt. From an economic center and a city of culture, the city was influenced by large Jewish families connected to the past and the present. The wounds after the Holocaust and the terrible time of the Nazis also struck in our city and are still present in society. Moreover, we can now acknowledge and rejoice that Jewish life has returned to a permanent and important position in the city and in society. All this requires us more to fight for the sake of strengthening the partnership in recognition of their importance and safety. Anti-Semitism is not the problem of Jewish society alone. It is the problem of the entire society, and therefore it is the responsibility of all of us every day to strengthen our partnership and to stand firm and strong against any phenomenon or sign of anti-Semitism and racism. The Rabbis of Germany (ORD) Chairman and Deputy Chairman of the Permanent Committee of the Conference of European Rabbis met with Frankfurt Mayor Peter Goldman (whose father was a Jew) and thanked him for the positive atmosphere he was creating for the Jews and for his determined war against anti-Semitism: "Such steps are very important and give a great boost to the Jewish community to lead a Jewish lifestyle and to observe mitzvot in peace and quiet," said a statement released by the organization. Rabbi Avichai Appel added "this announcement that was distributed throughout the city and other steps that were taken are a sign for an atmosphere that enables observance of Torah and mitzvot. They support us to continue and expand Jewish and Torah activity with great energy and publicly."